Officially, 2018 year in Kyrgyzstan was declared the Year of Regions. And not by chance. In November, 2017 was elected by the new president Sooronbay Jeenbekov at the national elections of the Kyrgyz Republic, gaining 54,76% of the votes of voters. Former prime minister, governor of one of the largest areas of Kyrgyzstan in the Ferghana Valley, with a reputation as a strong businessman. He is a descendant of the south of the country, and for Kyrgyzstan, in principle, in the constant political competitive representation of the South / North, he has for a long time been on the second stage in the political Olympus of the country. His insignificance and business, as well as the restrained loyalty, convinced the previous president, Almazbek Atambayev, to make him a bet as a political "heir". This intrigue held for a long time the Kyrgyz politician in a tension - who will be elected and heir: young and active Sapar Isakov or restrained and conservative Sooronbay Jeenbekov. Atambaev himself apparently dreamed for a long time. And when it was determined by the 2017 elections of the year, the political community began to make predictions of a purely technical nature. Many expected a model of casting that had been tested in the Russian Federation in recent years: the president is the prime minister; Medvedev - Putin ". Nothing was foreshadowing another course of events. However, politics is politics, and what is allowed in a big country with an already established political system and a vertical of power is not allowed in a small, dynamic state that has survived the independence period with the 1991 of the year - two, either revolution, or a political coup. In any case, the political year 2018 was held under the auspices of the personal presidency of Sooronbay Jeenbekov. Not immediately, but gradually there was a distancing from his former chief. Moving away with soft progress, his steps moved into more decisive measures. 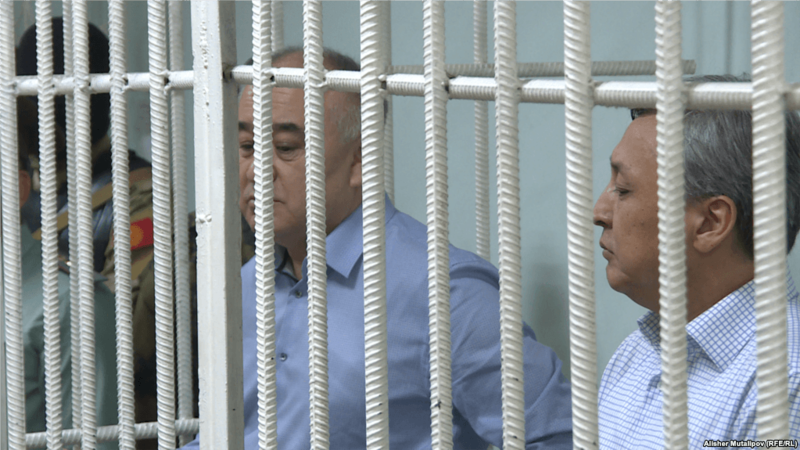 By the end of 2018, practically the entire team of Almazbek Atambayev, headed by his protagonist, the prime minister, and thus by Sapar Isakov, had been arrested, his personal circle of security officials, formed from the driver and bodyguards, was displaced. Together with the formal constitutional change of power - the elections, which were staked by some, unexpectedly in the country there was also a real political change of one president - Atambayev, his protagonist - Sooronbay Jeenbekov. It should be noted that the period of Atambaev's rule was rather confusing. What was characteristic of both internal and foreign policy rather confrontational tendencies. In internal politics, having assembled a power unit: the prosecutor's office, the Ministry of Internal Affairs and the KGB, subordinating the government - the Ministry of Foreign Affairs and most other industries, sweeping and expropriating the media, at the end of his presidency, Atambaev's regime had all the classical authoritarian characteristics. Perhaps he would continue to do so, if not his first oath of promise to society, in his subsequent whole set of populist statements, not to go to the presidency for a second term. I chose the soft path - to pick up a loyal heir. The plan was not successful. And so - President Sooronbay Jeenbekov. Clearing the field from the obligations and dependence of the former president in the first half of 2018 year, the current president began to form his agenda. She is not much different from his professional style. Not for nothing and 2018 year, and 2019 year are officially recognized by the Years of regions in Kyrgyzstan. With that only difference, that 2019 is still designated Year of Regions and digitalization. What does that mean? It's difficult to understand yet. It is obvious that at the first stage there is a policy of attracting investment resources for the development of regions. For this purpose, meetings of various levels were held with international organizations, the donor community, and the business community. Initiated startups and other initiatives for the development of regions and agriculture. There was no general holistic picture of change and development of the regions. Not counting the presidential election program, which relies, as it actually and in reality, rather on a holistic method. But to speak of a general, conceptual picture of changes in regions or countries does not yet have to be. However, the results, or rather - chicks in the autumn think, especially if the case concerns the regions. But before spring will be. 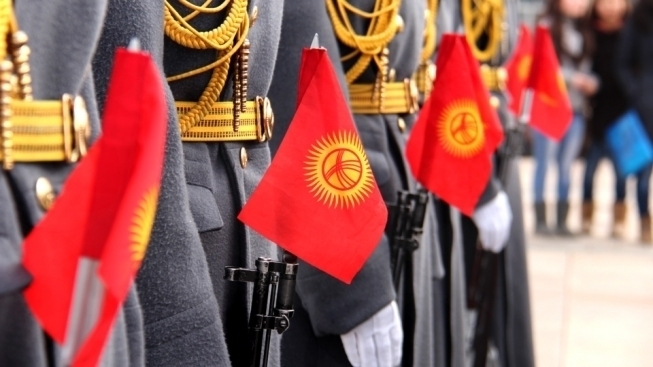 And this period in Kyrgyzstan has traditionally been associated with high political activity. Especially with the protest. It was in the spring of March-April that the main political cataclysms of the epoch of independence took place. Differently described in textbooks and studies, as revolutions or unconstitutional changes in power. One way or another, but even this January 2019 year has already been marked by a series of protest actions in Bishkek. As in the main square of Ata-too, and in public life. The range of protests is already widespread - disgruntled by the leadership (the state circus rebelled and most of its workers came out with a protest rally to the main building of power where the parliament is located). And the representatives of the national patriots movement with the anti-Chinese agenda came out on the square, which included a number of dissatisfaction with the "seizure of deposits" to the discontent with allegedly "mass marriages of local girls for the citizens of China." It is worth noting that the political activity of the 2019 of the year will be caused not only by the reaction to actual events, but also by the fact that next year's parliamentary elections in Kyrgyzstan will be held in Kyrgyzstan. Parliament or Jogorku Kenesh (translated from the Kyrgyz - Supreme Council) after the presidential election is in some chaotic state. The fact is that the leading Social Democratic Party of Kyrgyzstan (SDPK) remained without a leader (its leader was Almazbek Atambayev). That is, it was covered with discord and fermentation. As usual, a part of the once-loyal members went to the side of the new president, Sooronbay Jeenbekov, a part trying to uphold the former leader. Obviously, there is no single, yet recently such well-coordinated agenda of the party. A popular, experienced politician, Omurbek Tekebayev, is in jail, the leader of another socialist party "Ata-Meken" (Rodina), once oppositional Atambayev (and not without his help removed). Being a powerful opponent of any government in Kyrgyzstan, he presents a serious rival to current President Sooronbay Zhanbekov. Both have long known each other, both representatives of one region of the South. The remaining parties do not have significant strength and reputation. Some havetily created for the previous elections. That is, the pre-election intrigue is already increasing in the part of the ranking of political parties, and in part of the leaders of these parties. True, the fact remains that the party of socialist ideology and so-so popular in Kyrgyzstan is a mystery. Given the economic situation, the huge outflow of migration to Russia, Kazakhstan and other countries, and internal social policy. All this does not quite demonstrate the socialist values ​​and agendas of development. If you take the countries of the Central Asian region, fertility, as a demographic factor, is the only stable and positive trend for Kyrgyzstan. By last 10 years this trend, which was considered only recently positive for all countries of the region, in Kazakhstan fell by 37%, and in Kyrgyzstan it grew by 7%. Unemployment is rising. Since 2009, Kyrgyzstan's foreign debt has risen by 67%, for example, Kazakhstan has 47%, Tajikistan has doubled, while in Turkmenistan it has fallen by 20%. Serious changes in Sooronbay Jeenbekov occurred in the foreign policy of Kyrgyzstan. The fact is that Sooronbay Jeenbekov presidency falls into a new phase in the regionalization of Central Asia. Prior to 2018, regional policy was characterized by a confrontation, the leaders of the region often, if not ignored each other, tolerated. The former republics, becoming national states, were so enthralled by national and state-building, which were often neglected by good-neighborly relations. Here it is worth noting the competition between the two oldest leaders of the region - the president of Kazakhstan - Nursultan Nazarbayev and Uzbek President Islam Karimov, both of whom were in power for almost a quarter of a century, but rather rivaled among themselves than they did. Often information on events in neighboring countries of the community was received through international channels in Al Jazeera, the BBC or EuroNews. In addition, Almazbek Atambayev, for his 6-year term, managed to spoil relations with the United States (by expelling the American base from the territory of Kyrgyzstan), and with Turkey (which has long been considered not just an ally but a fraternal Turkic state), periodically with Russia and especially with neighboring neighboring Kazakhstan. In the latest history of Kyrgyzstan, a bloody ethnic conflict in the south of the country between the Kyrgyz and Uzbeks happened in 2010, which miraculously did not turn into a conflict between the two neighboring states. Sooronbay Jeenbekov presidency from the very beginning in foreign policy gave unprecedented positive results. First of all, with neighbors in the region. 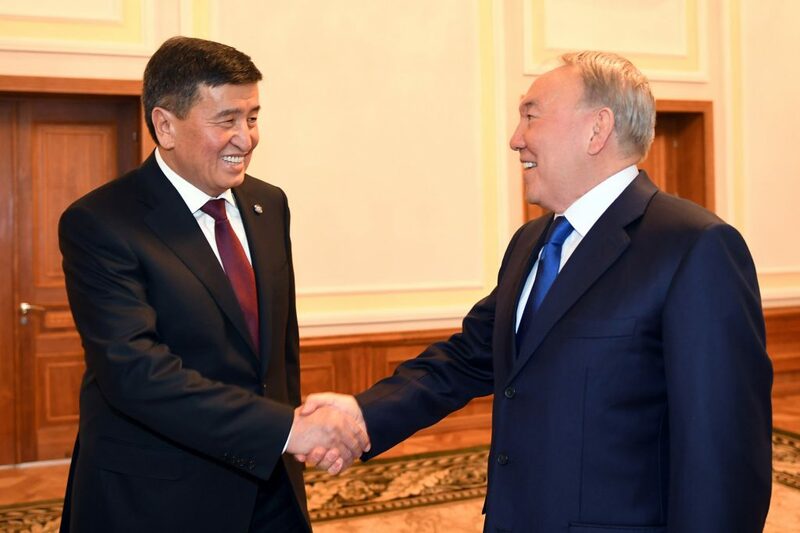 It is not by chance that Sooronbay Jeenbekov presidency began precisely with an unprecedentedly positive trend over the last decade of rapprochement with Uzbekistan. Cultural, economic problems have been settled in an unprecedented record-breaking period. For a long time, the closed borders opened for the inhabitants of the south of the country, which borders with Uzbekistan and has socio-economic roots since ancient times. President Nursultan Nazarbayev, a conservative and undoubtedly regional leader of Central Asia, was also quite supportive of the new president of Kyrgyzstan. The fraternal ties of the Kyrgyz-Kazakh leaders, who have recently come to a dead end, have gone through a thaw. In the coordinates of the far-seeing vision, Jeenbekov's policy has not changed. As in foreign policy, both in the field of security and international blocs of Kyrgyzstan, withSooronbay Jeenbekov demonstrates full loyalty and consistency behind Russia. This is evident from the signed protocols within the framework of the CSTO, the UES and the SCO. If other countries in the region are trying to play their own game, with external approval of Russia's policy, then Kyrgyzstan is on the contrary. 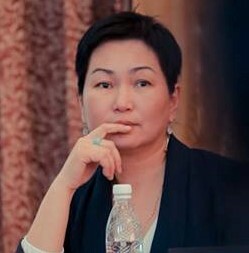 Sooronbay Zhanbekov quite actively supported even the initiative with the introduction of a common currency in the UES. More optimistic, by the way, than the other more experienced members of this organization. So, Sooronbay Jeenbekov demonstrated that Russia is still the main focus of Kyrgyzstan's policy. At the same time, it remains fairly well-maintained in relation to other vectors in foreign policy, be it China, Europe or other countries. 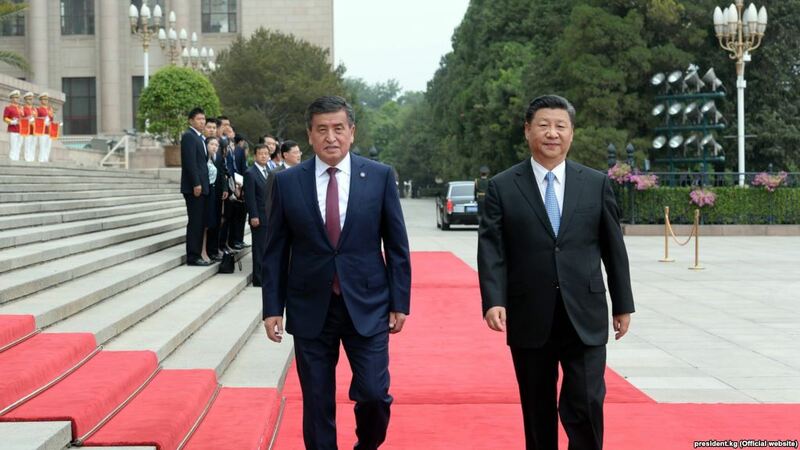 It is symbolic that President Sooronbay Jeenbekov made his first state visit to China, taking part in the meeting of the SCO SCG in Qingdao in June 2018 year. Interaction with a big neighbor is actively developing at the bilateral level, especially in trade and economic relations. In the Year of Development of the Kyrgyz Regions, it was persuaded by the Chinese side to award a grant amounting to 600 million yuan for the implementation of projects for the creation of a scientific and innovative agricultural technopark, the provision of veterinary and phytosanitary laboratories, the development of the Bishkek road network, and the provision of drinking water from remote areas of Kyrgyzstan. The reconciliation with Turkey also succeeded, returning the position of the Turkish leader. So, after the four-year hiatus, IV session of the Supreme Council for Strategic Cooperation of Kyrgyzstan and Turkey was held. Pretty sweet-looking vector, but with a slight glance toward the north, while it is also forming in relation to Europe and the USA. Assume that Kyrgyzstan and its new president will have enough resources and maneuvers for a uniform multi-vector policy to be naive. However, while this balance is not broken.Sooronbay Jeenbekov's policy in foreign policy can now be described as a crisis manager. However, from the accents that the president still made a special emphasis on is Islam, the most causing is not unequivocal assessments. The fact is that the overwhelming population of the country, estimates itself as Muslims - 95%. However, the Kyrgyz Republic officially, according to the Constitution of the country, is a secular state and, in any case, until recently demonstrated its value aspirations and signed conventions in line with the Sustainable values ​​of the millennium and promoting democratic institutions. However, at the beginning of the 2019 year, a scandal broke out in the Council of Europe's Parliament, which expressed concern about the support of several States parties to the rules of the Shari'a, including provisions that clearly contradict the European Convention on Human Rights. This is stated in the resolution of the organization. "It is deeply troubling that" three PACE members, namely Albania, Azerbaijan and Turkey, have directly or indirectly endorsed the Cairo Declaration, as well as Jordan, Kyrgyzstan, Morocco and Palestine, whose parliaments have the status of partners in democracy in PACE, "- noted the assembly. PACE, which supports the principle of separation of state and religion, emphasized that "Islamic human rights declarations adopted since 1980-ies, being more religious than legal, can not reconcile Islam with universal human rights, including the Cairo Declaration on 1990's human rights, which, although not binding, has a symbolic and political significance in terms of human rights policy in Islam. " The resolution adopted by the PACE calls on States to protect human rights, regardless of religious or cultural customs or traditions. Here it is worth noting that Kyrgyzstan is also a member of the Organization of Islamic Cooperation - OSI, since December 1992 year. In 2011, the Kyrgyzstan joined the OSI Charter, ratified it in 2012. The official version of the entry was a potential closer cooperation with the countries of the Islamic world in order to raise the standard of living in the Kyrgyz Republic through joint projects. The style of Jeenbekov's family and some of his statements demonstrate high religiousness. What has already caused alertness on the part of adherents of secularism, embodied in the Constitution in the Kyrgyz Republic itself. On the other hand, it has intensified the apparent paradox at the level of the state, which seems to be actively declaring and fighting Islamic extremism and terrorism (in any case, in the CSTO mandate), but at the same time demonstrating on the elite level the full commitment of the dominant confession - Islam. At 2019 the plans of the Kyrgyz leadership are also serious intentions. Three official visits to high-level Kyrgyzstan: Chinese President Xi Jinping's visit to Kyrgyzstan (while the exact date is not specified, talks are under way), Vladimir Putin's state visit (Russian Foreign Minister Sergei Lavrov is currently in the Kyrgyz Republic, he noted that his official a visit to Bishkek is devoted to the preparation of the state visit of Vladimir Putin to Kyrgyzstan, as well as the meeting of the intergovernmental commission to be held on 1 March 2019 year). Also, in the first half of the year 2019 year is expected to arrive with the official visit of Prime Minister of India Narendra Modi in the Kyrgyz Republic. The main foreign policy event in Kyrgyzstan at 2019 year is scheduled for the next summit of the heads of the SCO member states. At the last summit in Qingdao, China, the chairmanship of the Organization was transferred to Kyrgyzstan. "We regard the SCO as a platform for establishing mutually trusting relationships and developing cooperation. The SCO's authority grows and grows every year. The basis of the Organization is the unity of the states of the parties, a trusting partnership and mutual respect, "said Sooronbay Jeenbekov. On the whole, the Kyrgyzstan's foreign policy is oriented towards co-operation. 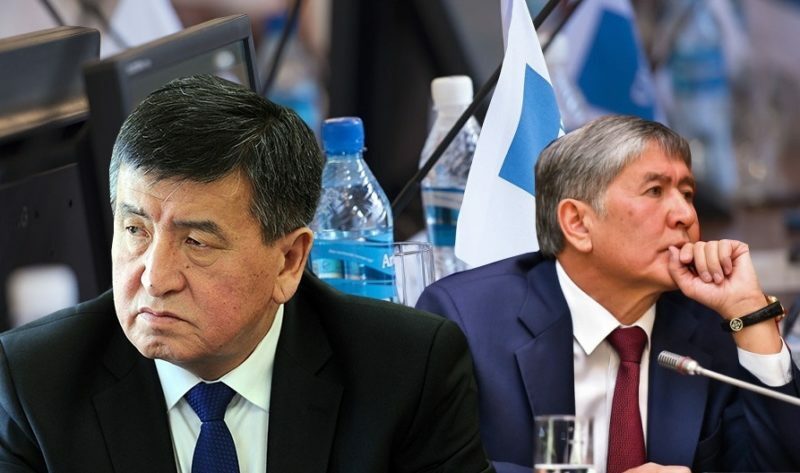 Sooronbay Jeenbekov, in spite of the fact that in 2018 he managed to separate himself from the patronage of former president Almaz Atambayev, he basically leads the same line of conservative development in the country. At the foreign policy level, demonstrating the loyalty of Russia's former metropolis, as well as cooperation with organizations where the Russian Federation is the task force - the UES, CSTO to a lesser extent the SCO. At the regional level, the efforts made by President Sooronbay Jeenbekov had a positive effect. Relations with all the leaders of the region are stable, positive. This gives the opportunity to solve social, cultural, economic issues, as well as long-outstanding issues related to the partial opening of borders at border posts) and their demarcation (Kazakhstan, Uzbekistan). Relations with the Turkic world, and its main hub state - Turkey, relations with which were strained, have been restored. The only controversial issues remain in the humanitarian-ideological sphere, which are connected with internal political contradictions in Turkey itself (Lyceum Sebat-Zapat). However, an imbalance between state secular policy and European commitments is becoming more and more apparent. Confirmation to this is the Cairo Declaration and its response to the PACE. There is also an imbalance between pro-Russian politics and some commitments in the Council of Europe and even the United Nations. This watershed is growing increasingly between Russia itself and European states, and not only. Kyrgyzstan, like all the countries of the region, sooner or later, maybe already in the 2019 year will face a choice. Similar contradictions can lead to further changes not only in the international market and configuration, but also in domestic politics. So, expectations of economic prospects for joining the Customs Union, and then the Eurasian Economic Union, have not yet yielded significant benefits. There is still no clear agenda in domestic politics. The second official year of the regions has not yet led either the regions or the country to any economic or other shifts. The level of civic activity, the media, NGOs is also high, as is the stable protest. What, in the context of the latest political history of Kyrgyzstan, sets certain lessons for the future.